"A beach-lovers paradise, with Crystal clear waters and stunning volcano's to explore. Lanzarote is certainly a holiday destination for the bucket-list..."
A gorgeous UNESCO Biosphere it combines stunning geology with incredible beaches to make an exceptional holiday destination. 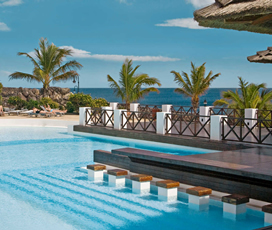 The coastal parts of the island are fairly built-up, with places such as Puerto del Carmen and the capital Arrecife, offering a magnificent combination of buzzing nightlife and incredible beaches. This contrasts beautifully with the more remote centre of the island, where visitors will be greeted with alien lava fields and multi-coloured volcanoes. 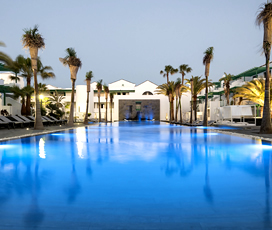 This along with the great food, well-designed facilities and yearlong hot weather, makes Lanzarote the ideal place for people who want a slightly different take on a traditional beach holiday. 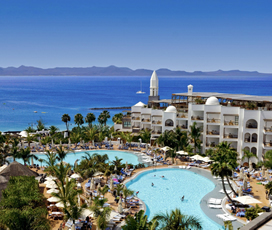 Situated within Spain’s Canary Islands, Lanzarote is located off the northwest coast of Africa. It is famous for its many incredible beaches and breath-taking volcanic landscape. Its capital Arrecife is situated on the eastern coast of the island and has several places of interest including the 17th century San Gines Church. The centre of the island is dominated by Timanfaya National Park, whose rocky landscape was created by a large volcanic eruption in the 18th century. The island is fairly small compared to some of the other Canary Islands with a population of 140,000. 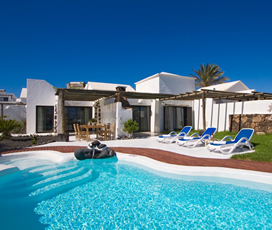 Lanzarote has a warm climate with hot summers and very mild winters. Temperatures average above 20 degrees for the majority of the year, with the coldest month, January, averaging a temperate 17 degrees. The hottest month of the year is August when temperatures average 25 degrees and the sea is a pleasant 22 degrees. 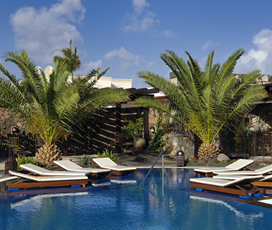 Lanzarote is cooled by a gentle sea breeze ensuring that it never gets too hot. The Canaries were forgotten by mainland Europe between the fall of the Roman Empire and the 15th century, although historians theorise that they were probably inhabited by Berbers from North Africa. They were eventually rediscovered by Spanish Conquistadors, in the middle of the 15th century, with historians speculating that the name Lanzarote originates from one of the people who first discovered it. It took the Spanish around a century to fully subdue the island eventually taking total control in the 16th century. From then on Lanzarote was largely an agrarian and fishing community, until the 20th century when it became a tourist hub. With a varied cuisine it takes its influence from Spanish and North African food. Fish and meat are the staple proteins on the island, with cheese and fresh vegetables generally added to give it flavour. The islanders prepare fish in many different ways, including fried, baked, boiled and salted, with locals liking to add mojo rojo (spicy pepper sauce) or mojo verde (milder green pepper sauce). Another very popular dish on the island is Sancocho, a fish stew that is prepared with vegetables. The island is also renowned for the quality of its cheeses, with a variety of different recipes featuring either lamb’s or goat’s milk. People from Lanzarote also greatly enjoy spiced pork, including sausages, salami and many, many more. There is the Rancho Texas aquapark in Puerto del Carmen, which combines great wildlife with an exciting waterpark that people of all ages are bound to enjoy. Along with an open-air cinema, where the entire family can enjoy a film underneath the stars. Teguise is also excellent for children, with an exciting pirate museum that offers a fun and educational day out for the entire family. Teguise also has an aquarium, where children can learn about the various marine species that populate its waters. No family holiday to Lanzarote would be complete without spending some time on the many beautiful beaches that populate the island’s coastline. 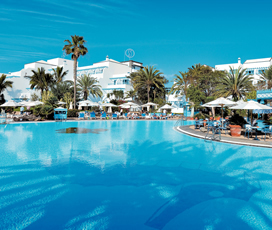 The delightful island of Lanzarote is the ideal place to spend a relaxing beach holiday, with a myriad of excellent beaches dotted throughout the island. 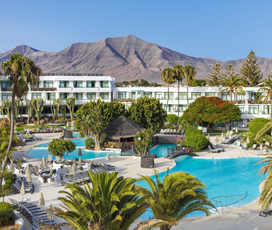 The most popular of these are in Puerto Del Carmen, Playa Blanca and Costa Teguise, although you are almost guaranteed to find azure waters and golden sands wherever you go. The submarine experience in Puerto Calero is ideal for those seeking something a little different: it takes you 30 metres beneath the surface, offering the chance to see some of the incredible marine life that populates Lanzarote’s waters. 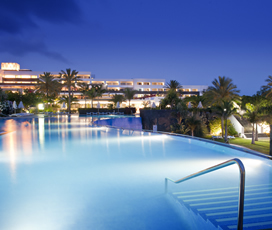 Renowned for the quality of its nightlife, the best places to explore are the capital, Arrecife and the resort town of Puerto del Carmen. In Puerto del Carmen the night-time action centres around the Avenida de las Playas, where visitors can find a large number of discos, clubs and bars. While in Arrecife the nightlife is contained within the town centre and harbour promenade, where visitors will find a myriad of cool bars and clubs. 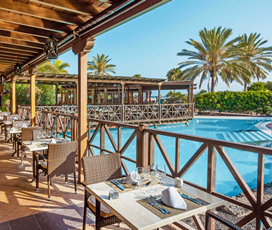 In the other resorts like Playa Blanca and Costa Teguise, the nightlife is slightly less frenetic: visitors will still find bars and clubs, just not in the same quantity as the aforementioned places. 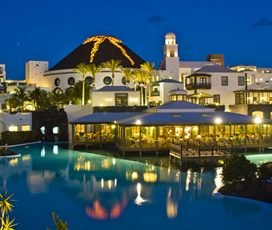 When it comes to shopping, Lanzarote offers visitors the chance to purchase an array of high-quality goods at excellent prices, with the many shopping centres being in Puerto del Carmen, Costa Teguise, Playa Blanca and the capital Arrecife. There visitors will find fashion items, perfume, jewellery and electronic goods from internationally recognised names. There are also a variety of smaller shops selling locally produced goods with Teguise and the capital Arrecife the best places to find these. The best market on the island takes place on a Sunday in Teguise, where local traders sell craft items and a host of local produce, including, wine, cheese and mojo sauces. Visit the vibrant and cosmopolitan capital; a great place to wine and dine, go shopping or explore countless museums and tourist sights. This is the main tourist town on the island and it is best known for its spectacular beaches and its top notch nightlife and music venues. 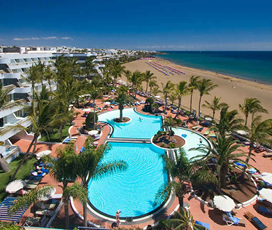 Costa Teguise is a beautiful coastal town which boasts beaches, shopping, nightlife and fun attractions for the whole family including waterparks, aquariums and zoos. For volcano treks, craters and geysers, visit Timanfaya National Park. There’s an information centre plus places to eat. Culture vultures and foodies will fall in love with Yaiza. It’s home to a number of wineries, great restaurants and some fantastic sights such as the Iglesia de Santa Maria de los Remedios or the Salt Factory of Janubio.